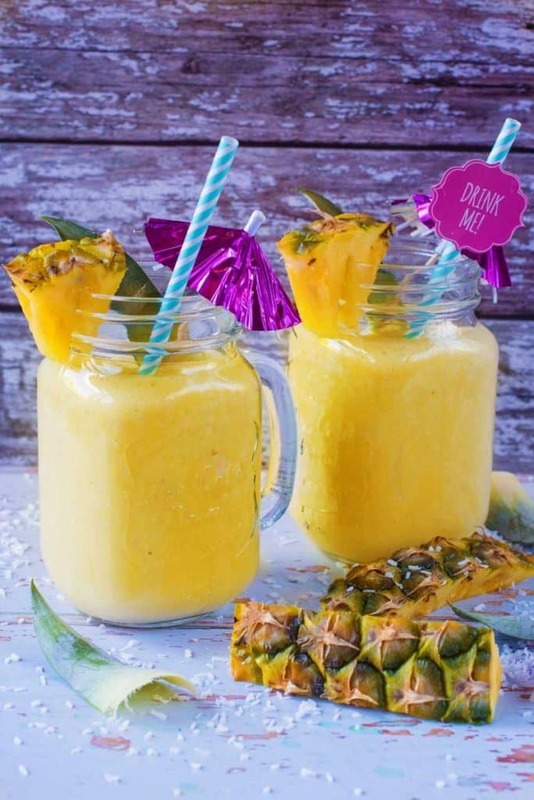 That Pina Colada sounds like just what I need for summer – when it arrives. I’m tired of the rain now. 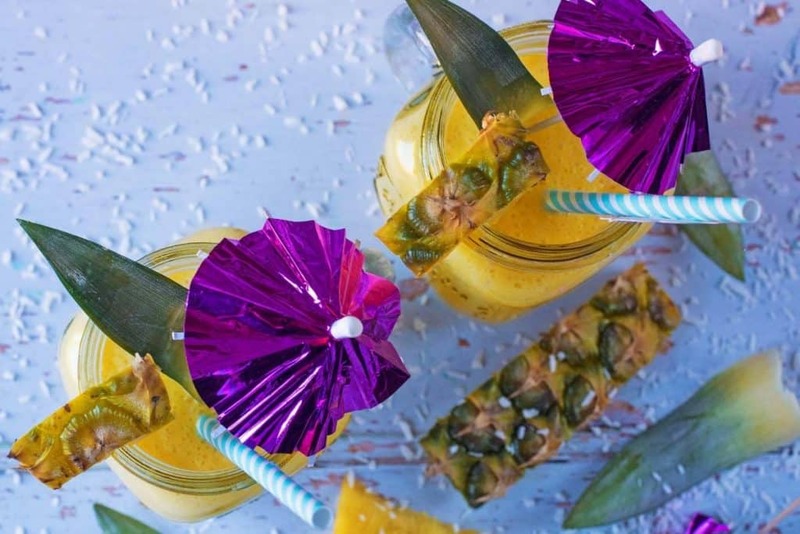 I absolutely agree with you – you can never have too many smoothie recipes! Love this one and can’t wait to try it! I love how you have made this with coconut and nut milk. So nutritious and without the alcohol too! great start to a summer morning! yes, and now I do have the song in my head, too. This sounds so delicious, it’s one of my favourite cocktails so I’d love this! Would this work with coconut water too? Coconut milk is a bit too high in calories for me at the moment. 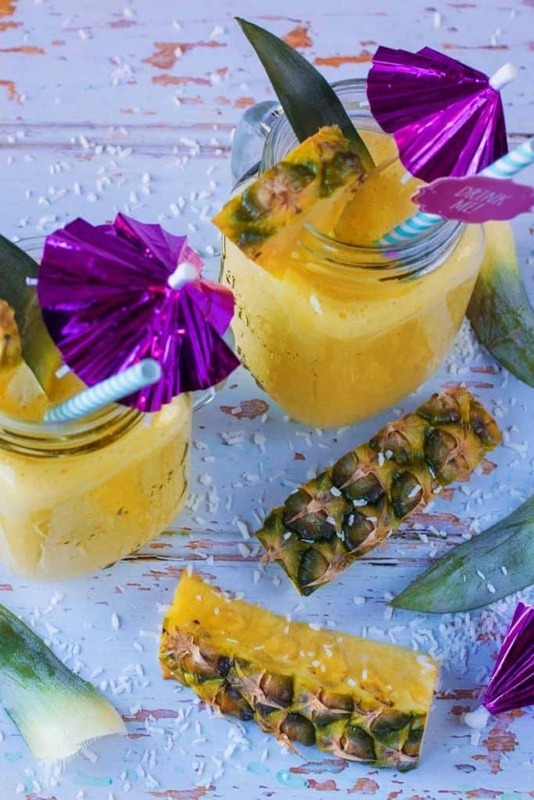 Coconut and pineapple are my favourite combination. Love those cute glasses! Looks lovely, like summer in a glass! I’d say if this doesn’t get to into the mood for some sun and relaxation nothing will! Oh wow what a fab idea for a smoothie! I would never have thought to make this but will definitely be giving it a go! Ooh pina colada is my absolute favourite cocktail and reminds me of being on holiday! That’s great thst it’s dairy free though as I can’t tolerate dairy these days! 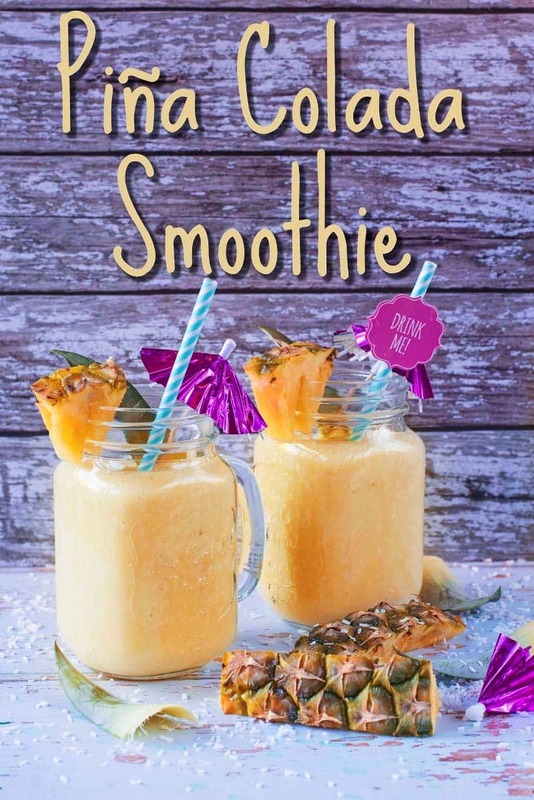 This smoothie sounds lovely! I might be tempted to throw a bit of white rum in there too, for good measure, lol! So this recipe looks delicious, and I really love the glasses…but when I clicked on your link, it took me to a UK Wayfair site with only 5-pieces, not the 7-piece set in your promo, and of course since I live in the US, this isn’t going to work for me to order from the UK. I can’t find these glasses in the US Wayfair. As a service to your customers, could you please make it clear when this is only available in certain locations? 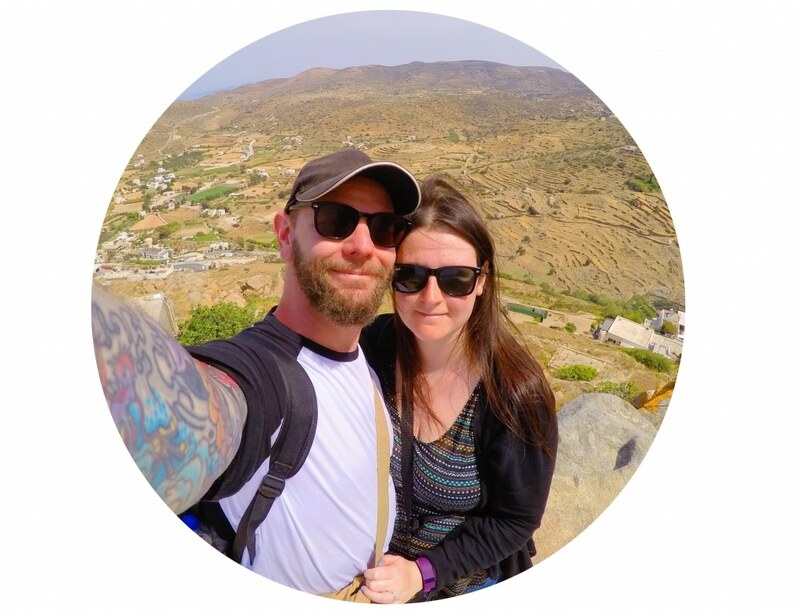 I am willing to support sites like yours, since I realize you need advertising dollars (oops, sorry, pounds) to operate, but I hate wasting my time and being played. This is the kind of thing that makes me cancel my subscriptions. Yum! 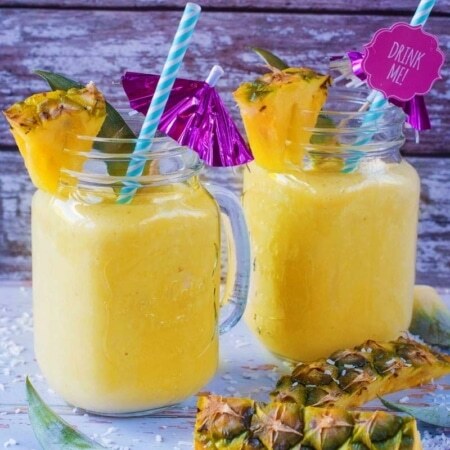 A pina colada smoothie sounds SO good! It’s one of my favourite cocktails. Oh yum yes please, this sounds absolutely delicious and a great morning pick me up – I am going to have to make it myself thank you.